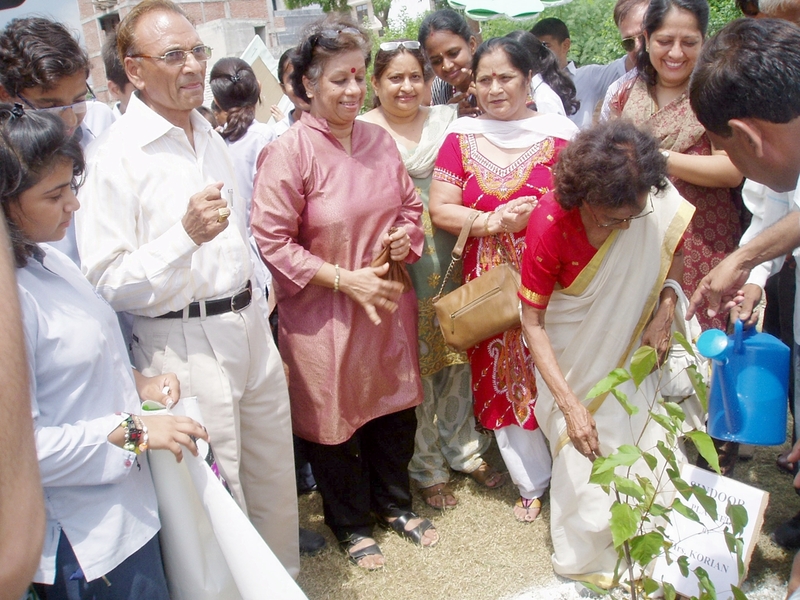 More than 100 plants were planted in the park behing Millenium Apartment, sec-9 on 8th August 2011. 30 students from ITL Public School participated in the tree plantation program. Residents from Millenium, Gayatri, Bandhu Vihar, Sri Radha, Bhrigu and Pardise apartments also participated in this program. Mr Premchand Deputy Director, Mr. Y.D. Sharma, Assistant Engineer were there to supervise the tree planting program. In sec-19, there was a tree planting program in which Mrs. Cicily Kodiyan, president of ANHLGT planted a rare plant of Sindoor. St. Marys shool children participated in the tree plantation program. And many members of the neighboring society also participated.